Samsung will not stop still. Now it is the turn to a new screen size for your collection. 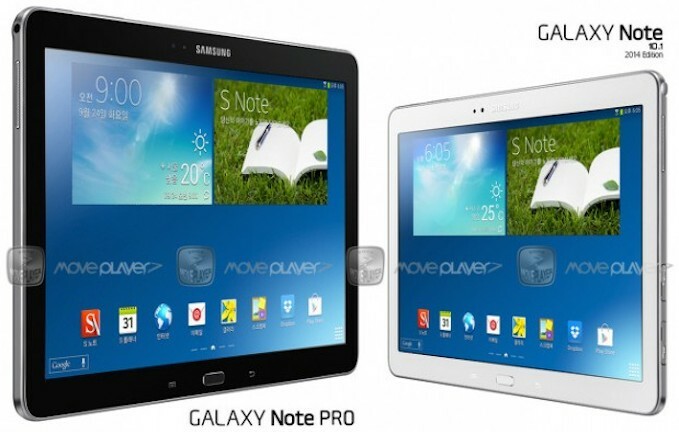 With the name Galaxy Note Pro 12.2 “ , Samsung aims to make a model bigger than 10.1 Note . Thanks to some leaked benchmarks have knowledge of what would be its features, being very similar to those of the current smaller tablet. Accompanying this hardware will very possibly an upgraded version of Touchwiz to be released with the Galaxy S5 and incorporate Android 4.4.2 KitKat factory . 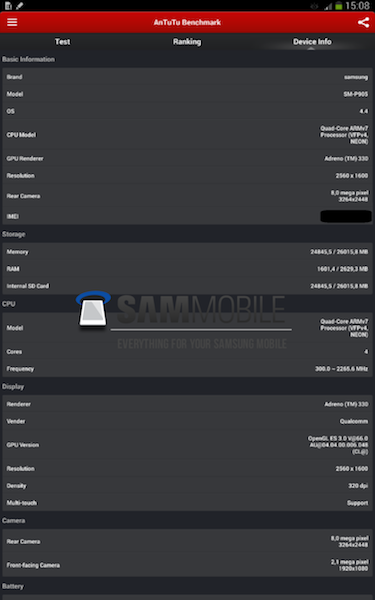 These data are known through a filter that has been in their benchmarks AnTuTu , yielding a result of 34000 points . 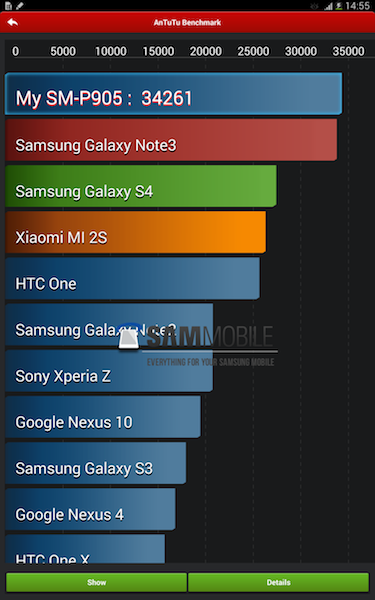 Narrowly surpassing those achieved by Note3 but still within the range of 800 Snapdragon. Samsung 12-inch tablet is intended to give a little step in the convergence between tablets and notebooks, see if eventually left in an experiment or if the pro range becomes such important devices for tablets as the range it was for Own Note mobile. The presentation would be for the MWC in Barcelona, ​​so you will have all the information when we have it in our hands.